Portland Chess Club related items. 11th Annual Clark Harmon Memorial Open (April 1-2): The Harmon Memorial currently rotates between Oregon and Washington each year and was in Oregon this year. Clark was one of the Northwest’s premier players and ambassadors of the game for many decades. See more information about Clark here and here. After the original Neil Dale Memorial Open was cancelled due to the weather, the unique features of that tournament (one section, G/120;d5, under prizes at U2100, U1900, U1700, U1500, and U1300/unrated, bonus upset prize) were transferred over to this year’s Harmon Memorial (the Neil Dale Memorial was rescheduled with the Portland Spring Open and used the Spring Open format). This year’s Harmon Memorial got thirty-five players. Micah Smith was the TD on Saturday and Mike Morris was the TD on Sunday. Mike Lilly helped with registration on Saturday. Mike Lilly and Mike Morris both gave a short remembrance of Clark before round 1. FM Corey Russell, a player from Medford, finished first with 4.5/5 and won $210. Corey also qualifies for the Oregon Invitational Tournament as the top Oregon finisher. However, he certainly would have qualified for the Invitational anyway based on rating and will almost certainly qualify for the higher level State Championship which runs alongside the Invitational. NM Matt Zavortink and NM William Lapham tied for second with 4/5 and split the second and third place prizes, each winning $114. H.G. 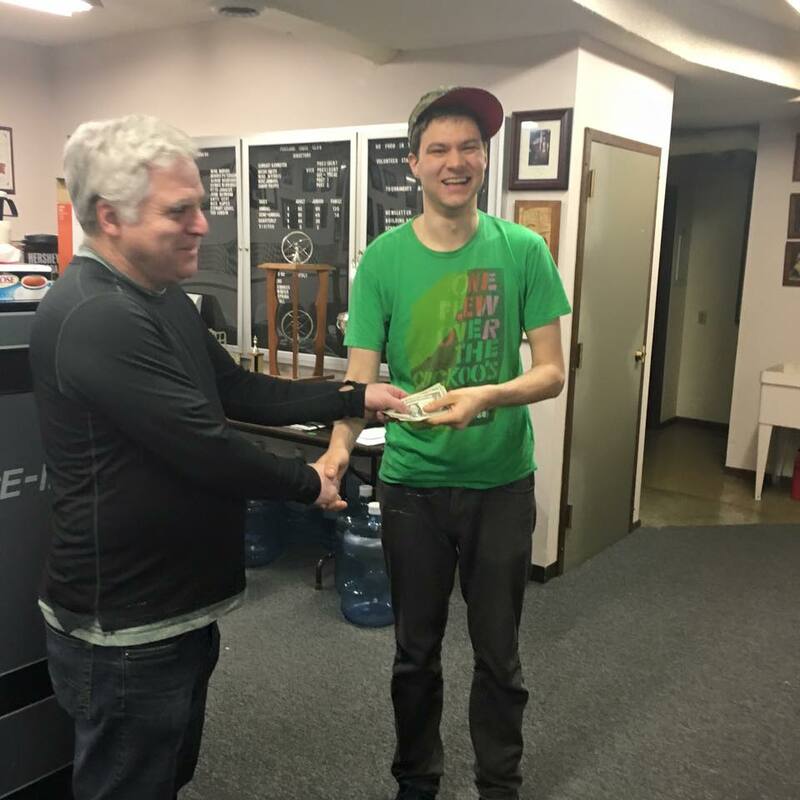 Pitre, a player from the Seattle area, Gavin Zhang, and Scott Levin split the 1st U2100, 1st U1900, and 2nd U2100 prizes with 3.5/5, each winning $65. H.G. also gained around 70 rating points. Alan Rhoade and Isaac Vega split the 2nd U1900 prize, each winning $27. Alan graciously donated his winnings to the Harmon Memorial Fund which we use to have a higher prize fund for the Harmon Memorial. Isaac also gained around 50 rating points. Ralph Anthony, a player from the Seattle area, won the 1st U1700 prize of $70 with 3/5 and gained around 50 rating points. Roshen Nair, Brian Berger, and Abbie Wu split the 2nd U1700 prize with 2.5/5, each winning $18. Abbie also gained around 125 rating points, achieved a new peak rating, and achieved her 5th, 4th Category norm and thus was awarded the 4th Category Title (her performance was good enough that she achieved 3rd and 2nd Category norms as well). Roshen also achieved his 5th, 3rd Category norm and thus was awarded the 3rd Category Title. Zoey Tang won the 1st U1500 prize of $70 with 2.5/5 and gained around 85 rating points and a new peak rating. 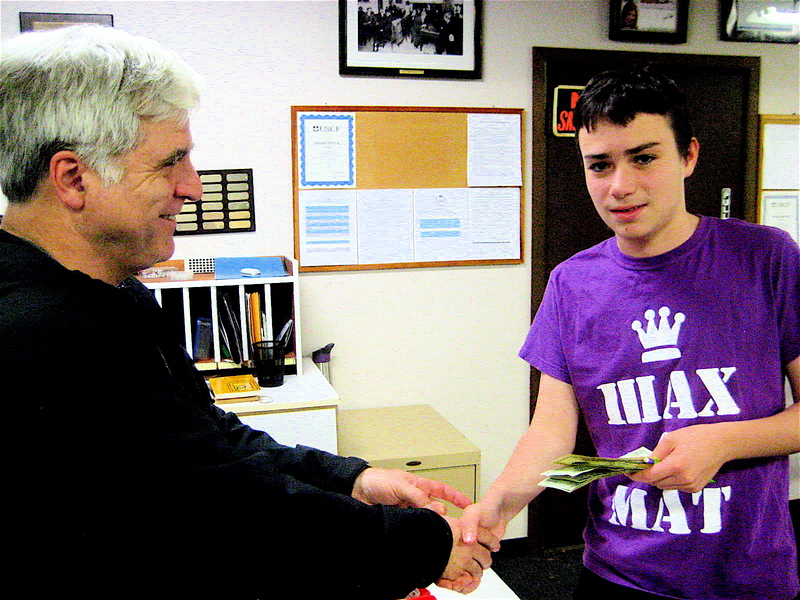 Jerrold Richards won the 2nd U1500 prize of $53 with 2/5. Harry Buerer won the 1st U1300/unrated prize of $70 with 2/5. Austin Tang won the 2nd U1300/unrated prize of $53 with 1.5/5. Micah Smith had the idea of adding a bonus upset prize to at least one of our tournaments and it makes the most sense to have an upset prize at a big one section tournament. Since it’s a bonus prize that players can win in addition to the other prizes, we decided we should be a little more restrictive as to who is eligible for the prize and we decided that you have to have an established US Chess rating (played at least 26 rated games) to be able to win the prize. We also decided not to count draws as half of an upset as is sometimes done. Arliss Dietz won the bonus upset prize of $50 by beating a player rated 356 points higher. There was one player playing in his first US Chess rated tournament, Ray Bourke from Corvallis. 14 players took part in the event held at the club site on Dec 17, 2016. Lennart Bjorksten was the chief TD. Gavin Zhang added to his rating because of his 4-0 final score. In the event held in Nov he tied for 3rd and in Oct his 3-0 score tied. CLICK HERE for the US chess table. CLICK HERE for Portland CC Tournament results reports. 40 players took part in the 2ND ANNUAL ROSE CITY SECTIONALS. CLICK HERE for my photos taken during round 1. Mike Janniro and Jason Cigan. Photographer unknown. The above was probably written by Micah Smith. 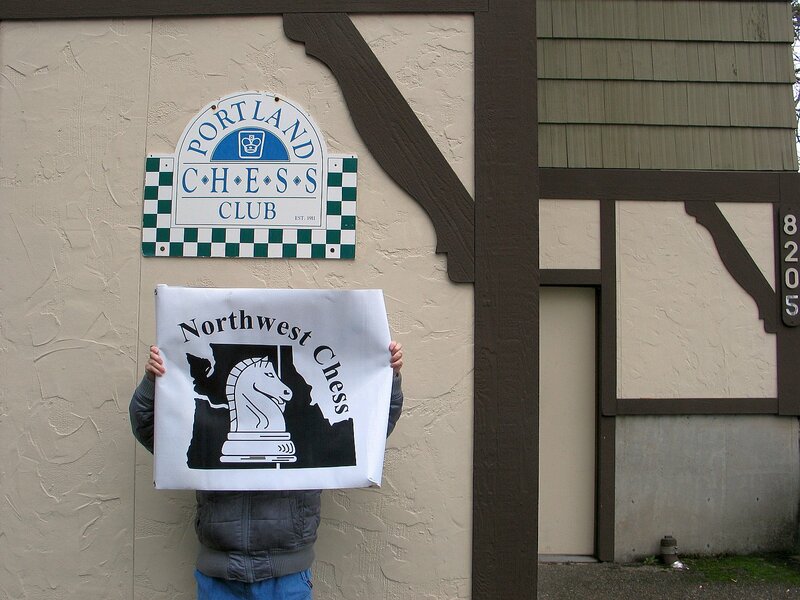 23 players at the Portland Chess Club on Feb. 27, 2016 for the monthly G/60 event. Nick Raptis of Portland/Vancouver won with 4-0. CLICK HERE for the xtable. Nick Raptis of Portland scored perfect 5-0 in the 41 player 2016 Gresham Open for a clear first place. At 4-1 were Jason Cigan and Bill Schill. Event was held on Jan 2-3. From the website of the chess club. Mike was also the TD. CLICK HERE for the US Chess Crosstable. National Chess Day was Oct 10, 2015. 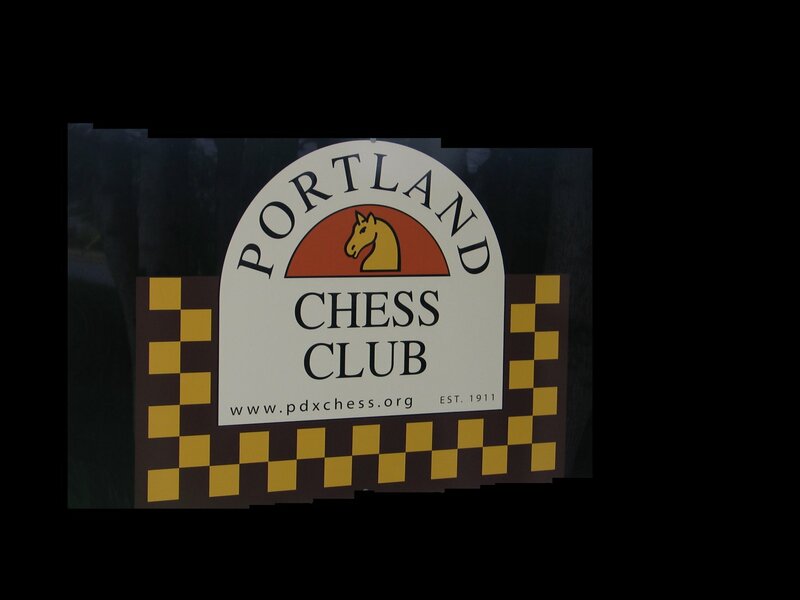 For the 2nd year in a row the Portland Chess Club held their annual Fall Open on this weekend. Last year 44 player took part and this year 30 did. Mike Janniro of Portland was the TD and played an extra game. All the event winners were from Portland. Nick Raptis and Seth Talyansky tired for 1st place in the upper section with 4-1. 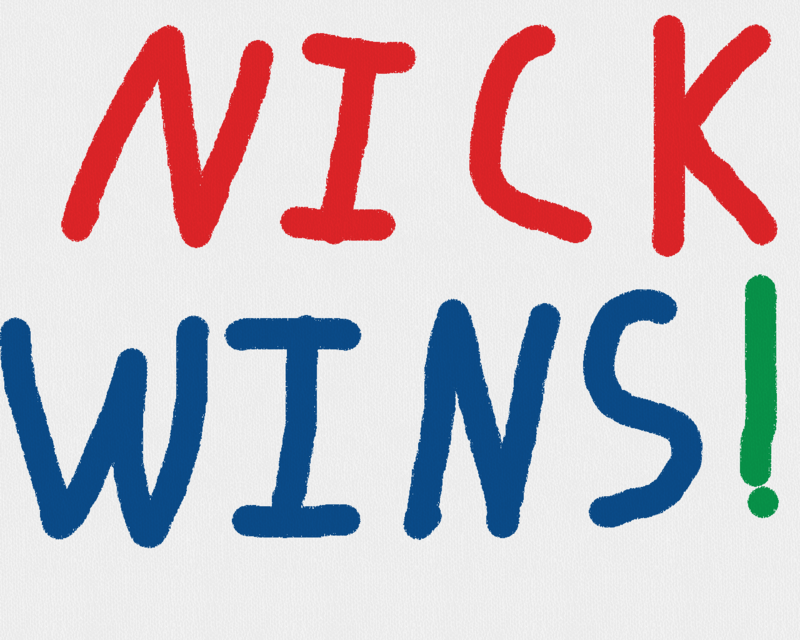 Seth topped Nick in round 4. Roland Eagles and Eric Erard also scored 4-1 to win the lower section of the event.